As the days tick down for the Vacansoleil DCM team and its fading chances to secure a replacement sponsor for 2014, another of its riders have been snapped up by another WorldTour squad. The sprinter Barry Markus has been handed a two year deal by the Belkin Pro Cycling team, and will be one of its designated fastmen in the big finishes in 2014 and 2015. “Belkin is a very nice team, both on and off the bike they always look well organised,” said the 22 year old Dutcman, who this year placed third behind Marcel Kittel (Argos Shimano) and Mark Cavendish (Omega Pharma Quick Step) in Scheldeprijs. In addition to that Schledeprijs result, Markus was second, second and third on stages of the Tour of Qatar and was recently second and third on stages of the Arctic Race of Norway. Performances such as that have attracted the attention of the Dutch team, as well as that of directeur sportif Nico Verhoeven. 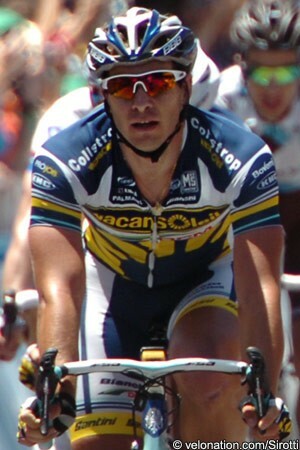 The team’s other main sprinter, Mark Renshaw, is set to leave the setup and will reunite with Mark Cavendish at Omega Pharma Quick Step. Meanwhile the Belkin Pro Cycling team has taken on Ivar Slik as a stagiare, although it states that he will only come on board in October. The twenty year old is currently part of the Rabobank Development team, and welcomes the chance to square off against riders from the WorldTour.